The first floor of Cobble Cottage consists of a main double bedroom, a bunk bedroom and a bathroom. 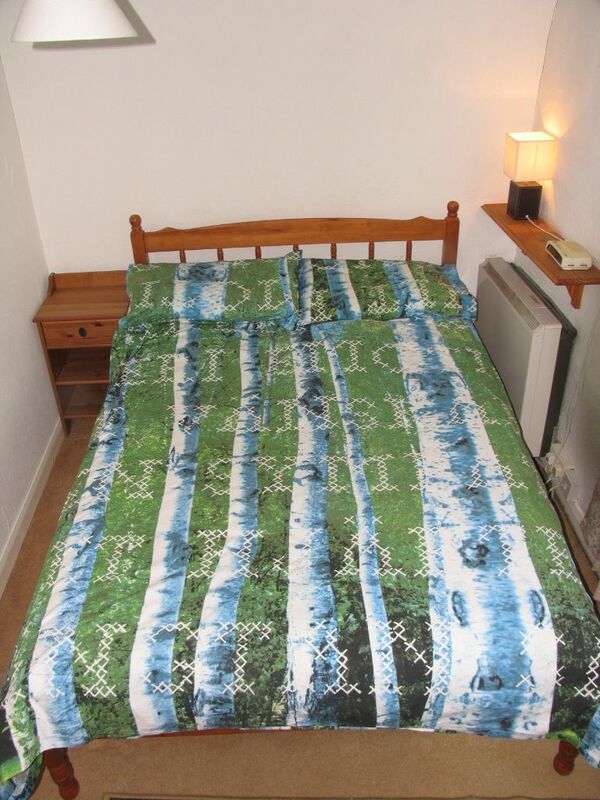 Double bed with double duvet and pillows, a bedside cabinet, two chairs, a chest of drawers and a large airing cupboard. A travel cot is available for very young children. Large bunk beds with two single duvets and pillows. Clothes storage. Shower bath with electric shower. Toilet and hand basin.